Do you remember the future? 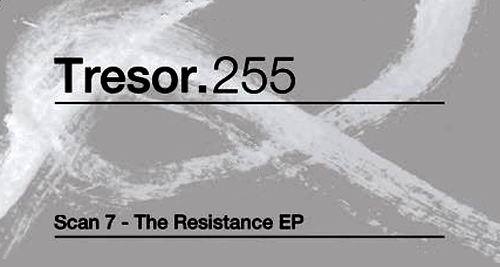 13 years after the masterpiece « Resurfaced », SCAN 7 is back on the Berlin-based TRESOR Records along with a new ep entitled « The Resistance ». Loyal to the original Techno music & to his committed thoughts, the leader of SCAN 7 aka TRACKMASTER LOU has produced a solid 3 tracks Ep. Spreading some militant lyrics, the title track of this vinyl sounds like SCAN 7 has put a magic 90s production out of the UNDERGROUND RESISTANCE‘s mothballs (U.R label was the one that launched SCAN7). Honestly this tune would warm the souls who still miss that time. The 2 others tracks ‘in & out Groove’ & ‘Why not’ are in a way more interesting dropping some 313 atmospheric dark groovy beats. 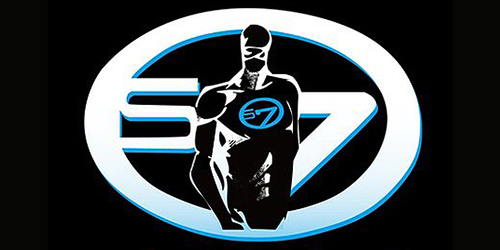 And as the SCAN 7’s usual, his kinda enthusiastic tunes are well made to be played by DJs. With 2 brand new vinyls this month (the other one is the great « Mental Reaction » on Dtrt Undrgrnd™) TRACKMASTER LOU seems to have officially gotten his favorite RX5 machine out again for the best. Therefore we really hope « The Resistance ». EP will announce an entire album on the same imprint, their early underground connection was one of the most important for the foundation of Detroit Techno (2nd generation). Highly Recommended! THE BLOG IS CLOSED BUT ARCHIVES REMAIN ONLINE FOR DIGGERS ...CHEERS!